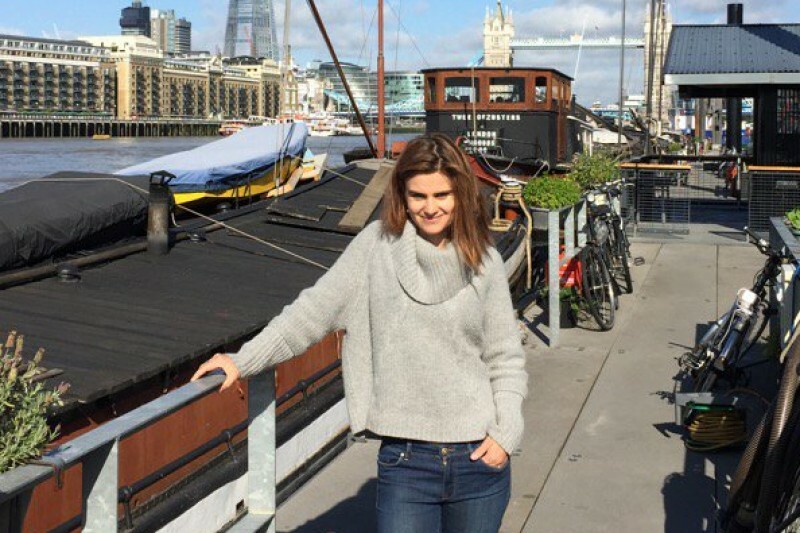 In celebration and memory of Jo Cox, the funds raised here will be invested in creating the fairer, kinder and more tolerant world Jo fought for. Following the overwhelming generosity of almost 45,000 people in the days and weeks after Jo’s murder, £1.5 million has been divided between 3 organisations which were close to her heart: The Royal Voluntary Service, Hope Not Hate and The White Helmets. Each of these organisations is investing the money to further Jo's work in Batley and Spen, across the UK and in Syria respectively. We will keep you posted on the progress of this vital work. Let's come together and give what we can to help create that better world. 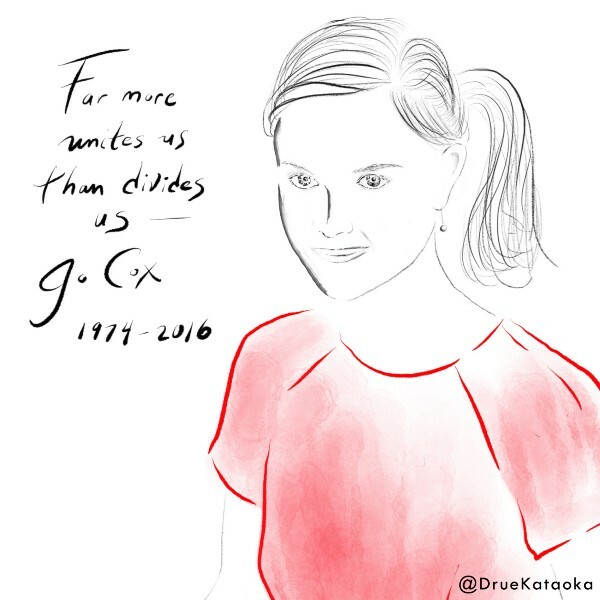 This page was originally created by Jo Cox's friends in London, including Nick Grono (CEO, The Freedom Fund), Tim Dixon (MD, Purpose), Mabel van Oranje (Chair, Girls Not Brides), and Gemma Mortensen (Chief Global Officer, Change.org), in close collaboration with her husband Brendan Cox. Once funds are gathered they will be split between Jo's favourite causes, chosen by her family. We have received several messages asking why there is no option to claim Gift Aid on donations to Jo Cox’s Fund. At this stage that is not possible. The rules for Gift Aid are that it can only be offered to UK taxpayers, and only for donations to UK charities that are registered in the UK. If you only wish to give to a charity registered in the UK in order to claim Gift Aid, of course you are more than welcome to donate directly to the Royal Voluntary Service (registered with the Charity Commission in England and Wales number 1015988 and in Scotland number SC038924), or to HOPE not hate’s separate charitable arm, HOPE not Hate Educational Ltd (number 1013880). Jo honoured with special Glastonbury live album. Friends, thanks as ever for your donations, which are still rolling in! Your generosity never ceases to amaze us. We wanted to let you know about a special effort underway to honour Jo, and another way to support this amazing fund. The album "Oxfam Presents: Stand As One - Live at Glastonbury 2016” has been dedicated to Jo's memory and is now available for download. 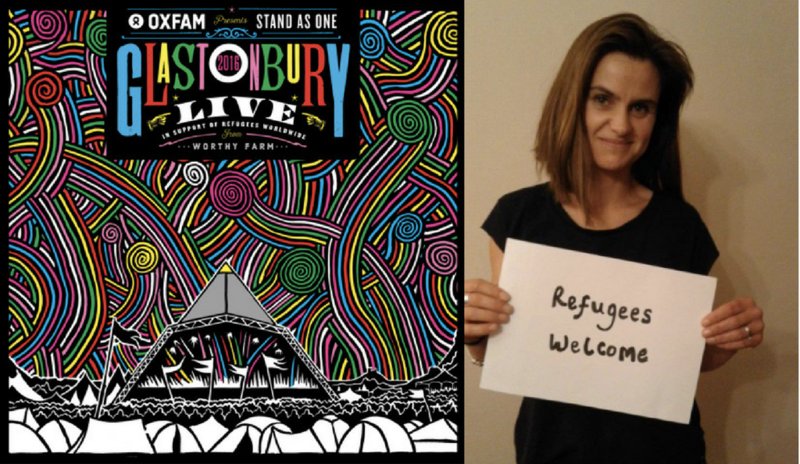 The album is a collaboration between Oxfam, Glastonbury and Parlophone who are proud to share 25% of the profits with the Jo Cox Fund. The rest will go to Oxfam's Refugee Crisis Appeal in support of refugees worldwide – Jo worked for Oxfam for eight years and campaigned tirelessly for refugees. The album is currently at number 14 in the iTunes chart, let's try and get it into the top 10! We send enormous gratitude to the teams at Oxfam, Parlophone and Glastonbury who made this happen, and as always to each one of you. On a Friday afternoon exactly six weeks ago, looking for something positive we could do with our overwhelming grief at losing our friend the day before, we set up Jo Cox’s fund. We wanted to help the hundreds of people reaching out to us to channel their own grief and concern, by raising money in Jo’s memory for the causes closest to her heart. Our initial target was £50,000 – but we hit that in a matter of hours. We’d raised £100,000 before the day was out, but it kept building. A million pounds poured in in just three days, and last night, less than six weeks since launch, we reached our target of £1.5 million. We’ve said it before, but we are truly blown away by the incredible generosity of more than 44,000 people around the world who have been part of this. We never imagined on that Friday afternoon that the fund could grow so large, and know Jo would be so thrilled that the three causes – HOPE not Hate, The Royal Voluntary Service and The White Helmets – will be able to do so much powerful and transformative work in her honour. We are in close contact with the three causes and will soon be distributing the funds between them. We have also been delighted by the decision of the UK Government to support the fund in Jo’s memory through a contribution of £375,000 to the Royal Voluntary Service. As the government said at the time*, the amount equals the gift aid that could have been claimed on the £1.5m target if the fund was a registered UK charity. We have also loved receiving all your incredibly kind messages, offers and ideas. As you can imagine we’ve been somewhat overwhelmed but will try to get back to you all as and when we can, and encourage you to stay in touch via jocoxfund@gmail.com. But this is not the end – far from it. We are now moving forward with establishing a foundation to continue advancing the causes closest to Jo's heart and to help give her a lasting legacy. More details of that to come soon, and we hope you’ll follow the journey. Wishing you a wonderful weekend, and thanking you from the bottom of our hearts, once again. Friends, thanks again for your seemingly endless generosity. Jo's fund has now passed £1.3million which is wonderful. Yesterday thousands of us gathered around the globe to celebrate Jo on what would have been her birthday. In over 30 events, from London and Batley to Nairobi, Sydney and Sarajevo, people came together to celebrate Jo and show the world that we have far #MoreInCommon than that which divide us. Thanks as always for your unwavering support, it means so much. I had decided not to vote in the upcoming referendum, but I have changed my mind thanks to reading about the passion of this fine young woman, who worked tirelessly for a more tolerant society and for people who need it most, and for the future of her children - the same age as mine. I'll vote remain because you are not here to do so, Jo, but also because of your efforts to bring people together in kindness, not hate. I hope to contribute to a more tolerant, peaceful society for my children, and yours. And it seems, that is he effect you had on people. An inspiration, and wonderful example of kindness and compassion. My deepest condolences. On behalf of countless Syrians in the UK and around the world, I would like to send my deepest condolences to Jo's family and all the people who knew her or loved her even without having the privilege to meet her (like me). Syrian civilians under siege as well as Syrian refugees who had the chance to rescue their lives and reach the UK will never forget how you were a great advocate for them. Let all of us say it loudly that no matter what the killer colour, religion and ideology are, he is a terrorist. He terrorised her children, family, friends and the whole UK with her death. Jo, may your heart and sweet soul find peace and comfort. Am I the only person who feels this abominable incident has its root cause in the horrible, bigoted, racist and downright shameful comments being generated by this totally uncalled for and now thoroughly discredited referendum? Donating because like countless others who'd never had the privilege to meet her, I am horrified by Jo's senseless death and wanted in some small way to pay tribute to her and what she believed in. Her values of compassion, tolerance and love are exactly what the world desperately needs more of. May her legacy be one of hope and peace over violence, hatred and ignorance. Love you Jo! !, God keep you safe, I pray your family get comfort in this dark hour. I am an Immigrant, who found hope in your words of tolerance, compassion and love; in a world where we are written off by many as evil invaders, benefits scoundrels, rapists and terrorists. Nothing good ever comes of hatred.. These are all excellent organisations.. please help if you are able to, in memory of a very fine woman. Our hearts are broken and drowning in sorrow at the savage tragedy to befall Yorkshire's Finest lass, Ms. Jo Cox MP. She lived a life that was an example to us ALL! May she find an eternal peace as we now take up the gauntlet of causes and passions that inspired a lady who was truly the very best of humanity. We will always grieve her senseless loss, but Ms. Jo Cox MP's star will forever shine brightly and can never be dimmed! :'-( She is a Supernova! Her children should always be proud of the phenomenal person their mother sincerely was. She will be missed forever! The pause in campaigning, restores a dignity and eloquence to the debate that conveys Jo's spirit and passion. 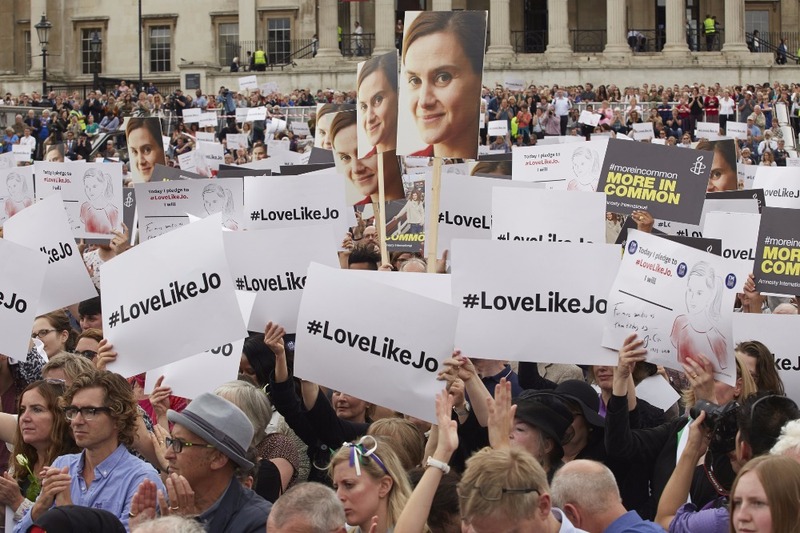 What happened, in all its crudity and violence, is surely exactly what Jo knew happens when we don't confront Far Right extremism and was at the very core of her life's work and belief. That Britain is reconsidering its hostile view of politicians speaks volumes of Jo's character. My heart aches for her children. RIP lovely lady. Still in shock for such a terrible thing to have happened just a mile away, Jo brutally assassinated when she was only voted in last year. The sadness and remorse in the constituency is tangible. So very, very sorry to lose such a warm human being who could have achieved so much more, if only she had been allowed to do so. It's a small donation, but I hope it will help to continue Jo's good work. We won't forget you Jo and the best way we can do that is to keep up the fight. We hear terrible things on the news every day but for various reasons some stories hit us particularly hard. I keep thinking of the poor woman's kids and husband, I think its because most of us have got young kids , they must have kissed her goodbye this morning same as any other, now their lives are shattered forever. Awful, just awful.